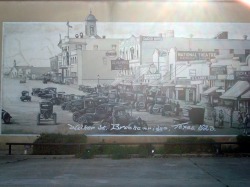 Friends of Historic Breckenridge (FOHB) was organized to promote and encourage the restoration and revitalization of the downtown Breckenridge area. 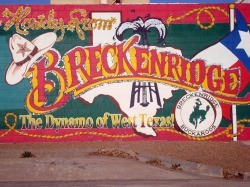 It was also the organization that worked with the city to make complete the application to have Breckenridge designated a Main Street City. It was an arduous process. 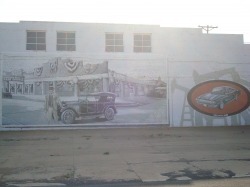 When Breckenridge received that designation, The FOHB Board of Directors wanted to show our good faith by initiating projects downtown to encourage business to invest in restoring their buildings, especially their facades. Joe Rex Brown and Charles Kuhn owned the theatre property, located at 116 West Walker Street, which only contained four walls and a collapsed roof – not much of the original National Theatre remained. Their wishes were to turn over the property to FOHB. An environmental study was completed to make sure it was not only feasible to try to restore the building, but if was even wise to accept the property. When the restoration process began, it quickly became clear that the building was not adequate for use as a theatre because multiple ADA requirements could not be met. 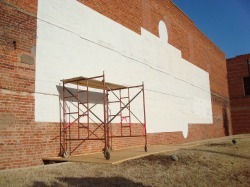 To alleviate this issue, the building to the east of the theatre was purchased. This new ADA-approved section now houses the reception room, kitchen, restrooms, and dressing rooms. 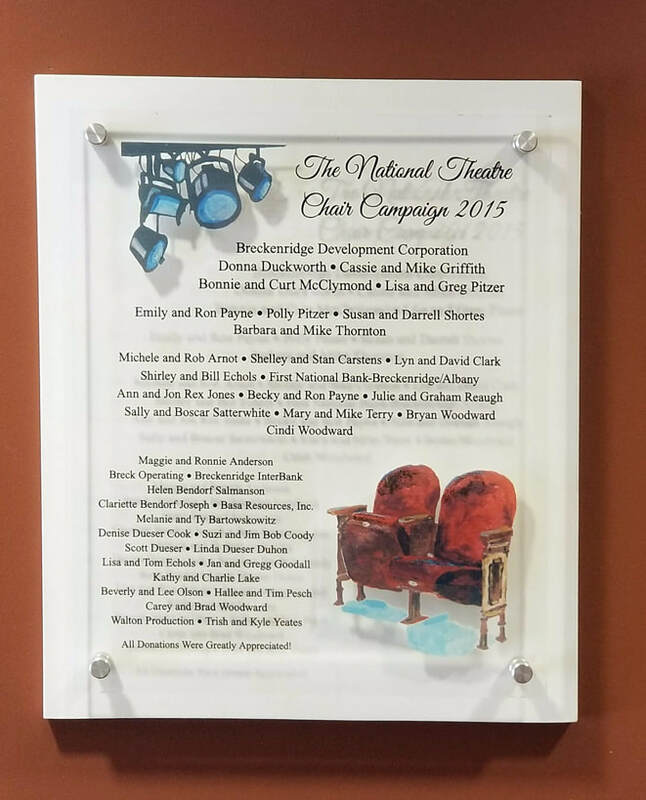 With help provided by our board members, the Breckenridge Economic Development Corp., our contractors, and support from the community -- including all of the donations from our wonderful members -- we were able to fully restore the theatre in 2009. We currently use the theatre for community plays, concerts, parties, movies, private functions, and children's summer theater camps. 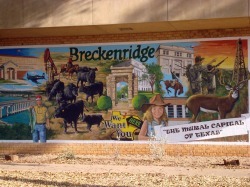 Breckenridge, Texas.......the mural capital of Texas! 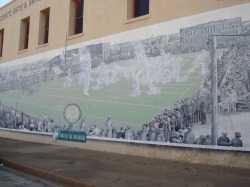 Located at 100 East Walker -- "The Dynamo of West Texas"
Located at 100 South Court Street -- "Spirit of the Buckaroo"
Located behind the National Theatre at 109 North Baylor Street -- "The Alex Arnest Kime Mural"
Located on the side of ABC Printing at 139 West Walker Street -- "The Dynamo of West Texas"
A new mural that is in progress and is a recreation of the original mural that was destroyed in a fire. Located in the heart of downtown Breckenridge!